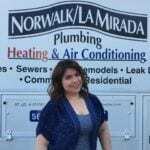 President at Norwalk-La Mirada Plumbing, Heating & Air Conditioning, Co. Serves Residential & Commercial communities for over 50+ years. 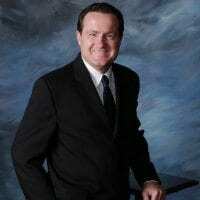 Our clients benefit from our experience, expertise, continuing education and use of modern technology and equipment.Don loves to golf on his free time when he is not working hard in the office making things run smoothly. Kyle loves playing basketball. Sports is his #1 hobby. He likes watching movies and T.V. on his free time. He also enjoys spending time with his friends. 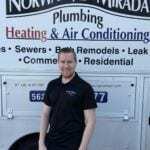 Wes has been with Norwalk/La Mirada Plumbing, HVAC for over 32 years. He has expertise in Plumbing, Heating and Air Conditioning service, repair and installations. In his free time, he enjoys traveling. He likes to do outdoor activities such as boating, motorcycles and off-roading. Griselda has been with the company for more than 10 years. She enjoys working with her co-workers. She is very outgoing, friendly and enjoys listening to music. In her free time, she loves cooking meals. She loves spending time with her family and friends. Emma loves spending time with her two grandkids. She loves dancing, doing Zumba and going to the gym. She also enjoys watching all the Real Housewives shows. Iris is a very outgoing person. She is a positive thinking individual who loves the great outdoors. She enjoys spending time with her family and friends. 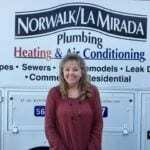 Teri is proud to live and work in the city of Norwalk. Her passion is yard saling and thrift store shopping. She loves spending time with her grandchildren. Kristen loves to spend her free time with family and friends. She enjoys taking trips around the city and extended trips away from home. Nothing makes her happier than going to new places and being able to explore them with her camera in hand. Serenity is a mother to a beautiful son and full time accounting student. She loves going down to San Diego on weekends with her son. 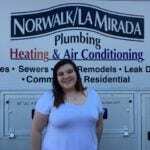 She enjoys working at Norwalk/La Mirada Plumbing, HVAC and is glad to assist others. COPYRIGHT © 2019 Norwalk/La Mirada PLUMBING. CAL. LICENSE #271767. ALL RIGHTS RESERVED.